Tech giant Apple has recently announced a range of software tweaks and updates to help the education efforts of the company. These updates have been launched alongside the new iPad. It is well known that Apple invests a huge amount in its research and development wing to be a pioneer of new technology. Apple, this time, unveiled a software feature called Smart Annotation that works in pages on your iPad. Despite the presence of already available annotation apps online, Apple made it smart for you to use. With the term ‘Smart’ in its new annotation app, Apple has made it in such a way that the annotations are tied to the text in a document. It means, if you annotate a word and proceed to edit that document, the changes in that document may make some changes in the annotated word’s location. However, with Smart Annotation, the annotation would stick to the word and you would be able to find the word even if the word has moved from its previous position. Now that the feature is ready to be used on your iPad, we have got some real interesting tips and steps to start working that may help you use the Smart Annotation feature in a better way. It is a common belief among Apple users that the new Smart Annotation app is specifically designed to use with the Apple Pencil. 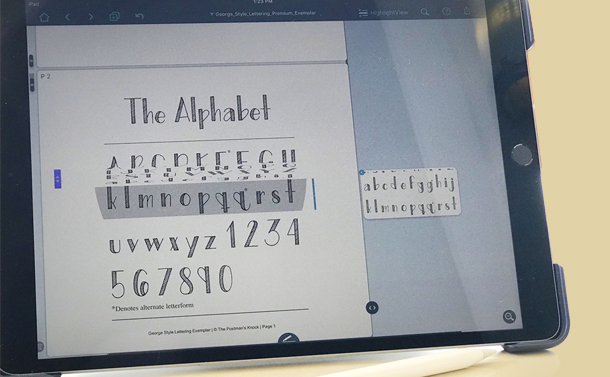 However, you don’t need an Apple Pencil or an expensive iPad Pro or any sixth generation iPad to enjoy this latest software tweak. All you need to enjoy this feature is an iPad and Pages to redefine your documents experience. Apple has made it easy to annotate a word in any document. If you are using an Apple Pencil, you just need to tap on the iPad screen to bring up the drawing mode. It is important to know that you just tap the screen as holding the screen with Apple Pencil would activate the drawing mode. If you’re not using an Apple Pencil and working on a regular iPad, you may still annotate a word in document. To initiate, tap on the three horizontal dots (menu button) and select the Smart Annotation Beta from the list of options. Once you’re done annotating the desired words, tap on Done and save the work. It is equally easy to delete an annotation on your iPad as to add. You just need to tap the annotated word and proceed to tap on the Delete option that becomes visible upon selecting. While you’re working on a document and feel the need to turn off the Smart Annotation feature but wish to continue the work, you can do it by turning off the Smart Annotation view. If you wish to export your annotated document without losing any annotation, you may do it as long as you’re using a Pages document or PDF. Other file types like EPUB, Apple Word, Pages ’09 , RTF, and files are currently not. Overall, Smart Annotation is a powerful tool that would not let your marked words get lost in the heap of words. If you circle a word and it is later moved down in a paragraph, the annotation follows it. All you need, to use this feature is your iPad and pages to start enjoying working on it. You may apply the above tips to make your work better and facilitate yourself according to the needs. If you know some more interesting tips and tricks, do let us know in the comments below.